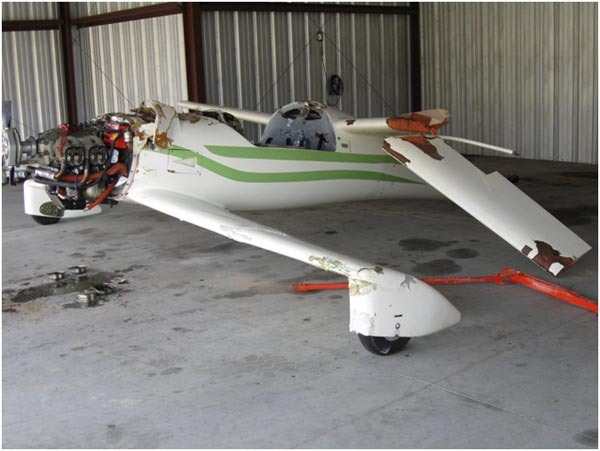 This is my personal view of the fatal Jerry Brinkerhuff accident in his newly built Quickie Q-200, which occurred on October 6, 2011. I was not there and did not see the accident. My opinions are based on my conversations with Jerry before the accident, conversations with his friends Tom Noyes and Sanjay Dhall and their photos of the accident scene. The Q-200’s first flight was made at Michigan’s Tulip City Airport, KBIV, 40 miles from his home, in order to take advantage of the 6,000’ runway since his home airport only had a 4,500’ runway. The accident happened on Jerry’s third or fourth flight. 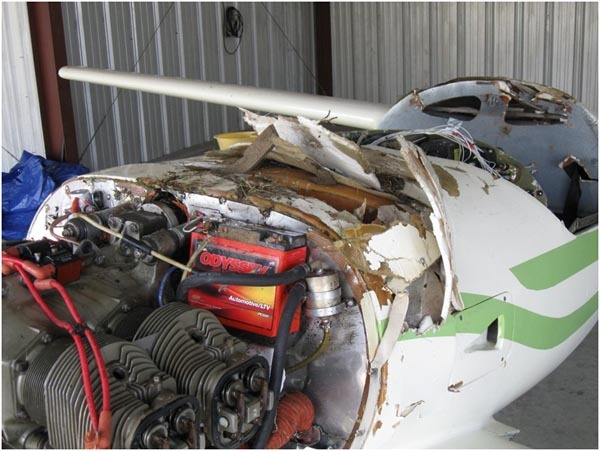 Jerry had purchased a wind-damaged C-150 and cobbled several items from it, including the engine, instrument panel, elevator trim components and other parts (wheels/brakes?) which he used in his Q-200. According to his friends, Jerry prided himself on landing his C-182 right on the numbers, and his friends think he may have been trying to practice the same thing at the time of the accident. One item of note about the instrument panel: It is my understanding that he left things pretty much in place as the C-150, and this included the throttle location. 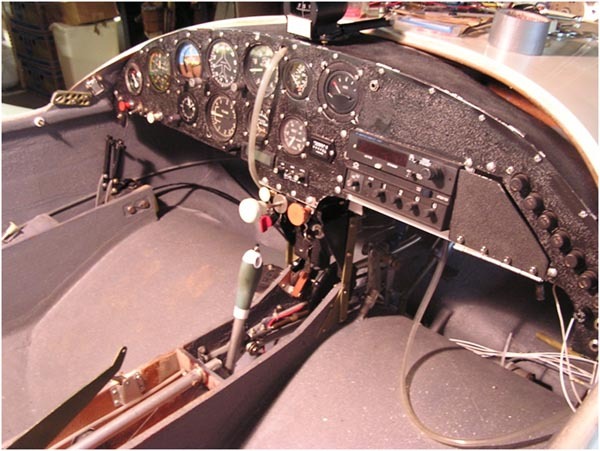 As you can see from the photograph, the throttle is located in the center of the panel, requiring the pilot to reach over and operate it with his left hand, or to let go of the stick and adjust it with his right. In either case, it’s an extremely poor ergonomic setup and both Tom and Sanjay urged him to change to a standard location on the left of the panel. 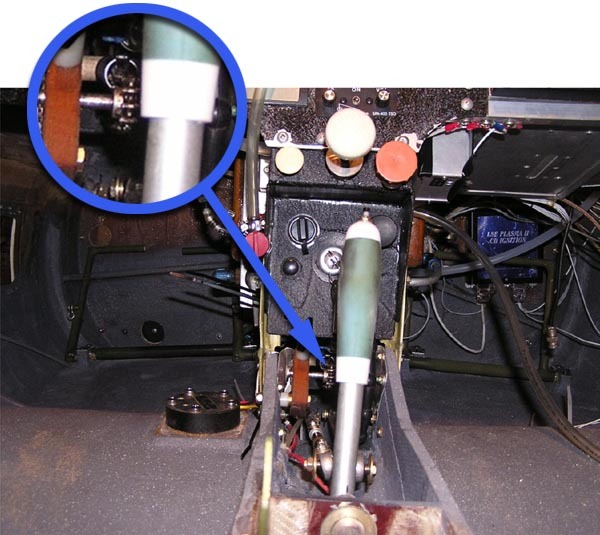 In the next photo you can see an additional set of rudder pedals on the passenger side. 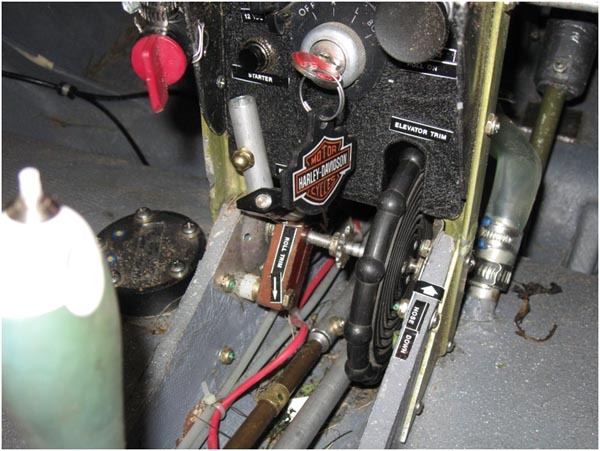 It is very likely he wanted the throttle in the center console for right side operation of the aircraft. This photo was also taken before the first flight, and shows the presence of the elevator trim chain on the sprocket - seen just even with the bottom of the stick grip. Here is a post accident photo showing the absense of the chain used for elevator trim. In this photo, taken on the day of the accident, Jerry appears to be reaching over to operate the throttle. I tried sitting in my own aircraft to simulate operating an imaginary center-mounted throttle and I had to reach way over, just as Jerry is. I thought it was a very bad ergonomic location. It would also seem to follow that he would need to loosen the left shoulder harness, so he could twist around. According to Jerry, his first flight was a real hair-raiser. I called him a couple of hours after that 15-minute flight and, while he was happy he made it, it really scared him. The aircraft was severely out of rig, and according to him, barely controllable. It had a severe roll (not too uncommon on first flights) but he said he could only turn in one direction and he was actually thinking of putting it into Lake Michigan. 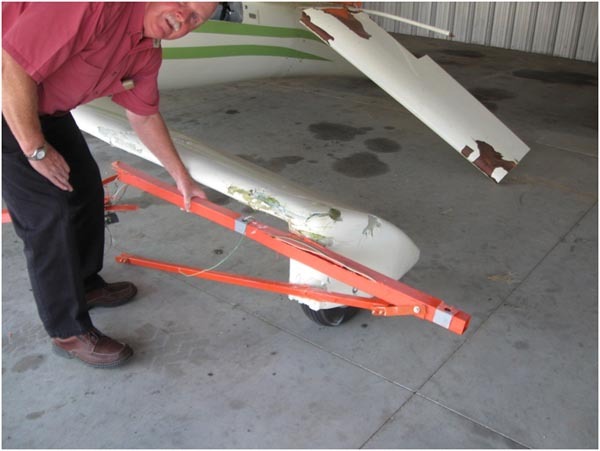 He also didn’t have anywhere enough elevator authority and his Cessna trim wheel chain had popped off it’s sprocket. From our conversation, I learned he had not used the Q-200 elevator jig template when he was doing his rigging. Even though he had the LS-1 canard, he had used the GU template. We both surmised that there was not enough downward travel in the elevator. 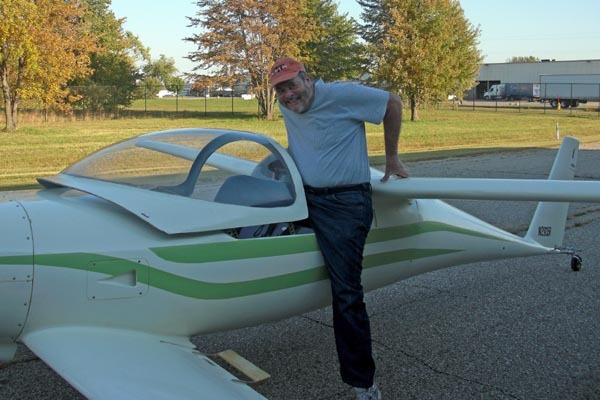 A couple of weeks after this flight, Jerry came to the 2011 Field of Dreams fly-in and learned more about proper rigging and resolved to make the needed changes. Jerry enlisted the help of his friend, Tom Noyes to help him correct these primary discrepancies. Install sparrow strainers (should have been installed in the first place). Correct adverse roll by adjusting the elevator position. It is my understanding that Jerry also removed the trim chain, which took the place of the nylon rope in a standard installation. This would leave him without the stock spring-loaded elevator trim, and I assume he planned on using the reflexor alone. After making the changes, Jerry’s 20-minute second flight was much better and he was described as being “all grins”, and I guess he pronounced the aircraft fixed. At this point he decided to bring the plane back to his home airport. He apparently felt he would be fine flying out of the 4,500’ strip and wanted the plane closer to home. He told his girlfriend to meet him at the other airport and that he would do a couple of practice landings at Tulip City, then fly over and meet her there. The only apparent witnesses to the accident were a couple in a car who had seen the unusual looking plane and stopped by the side of the road to watch it land. On the approach to runway 26, he struck the second to the last ILS approach light, at the left canard. The elevator tore loose and he apparently nosed over, impacting and breaking the left canard and wing, and then slid about 100 feet and spun 180 degrees. Conversations with the NTSB indicate the engine was running at the impact and you can see that both prop blades broke symmetrically. 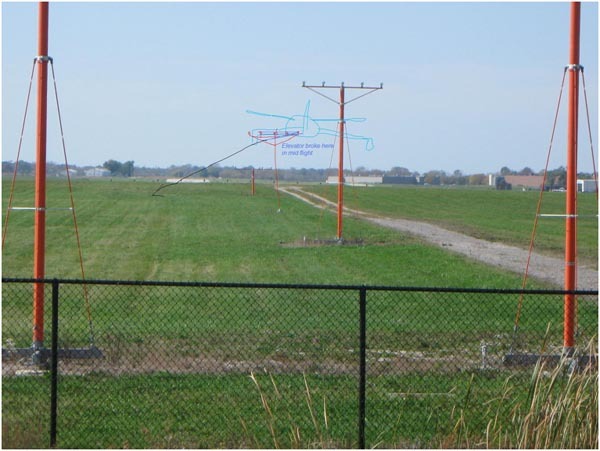 In this photo, Sanjay sketched in the missing approach light and the Q-200’s likely position. There is a black arrow pointing to the location of the impact. The light post is estimated to be 15’ high. 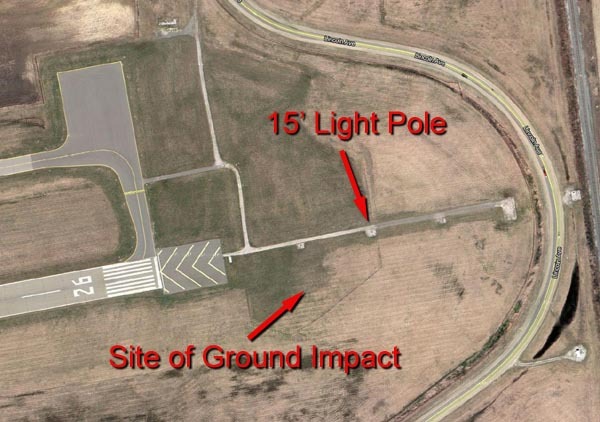 Photo shows the relation of the landing light at initial impact. Position of approach light at impact. The outboard elevator pivot pin was bent aft, releasing the outboard portion of the elevator. 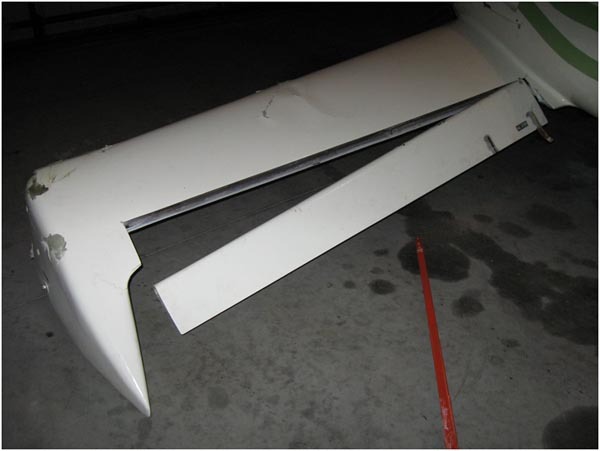 You can also see the compression fracture in the upper wing skin. I’m pretty sure this would occur when the canard struck the ground, not when it hit the light. 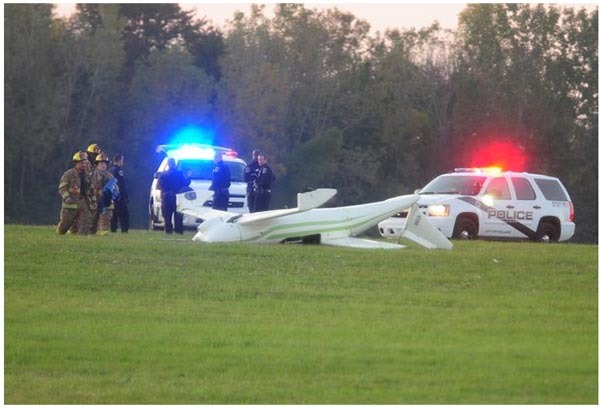 The plane slid about 100 feet and came to rest upside down. It appears that the seatbelts held but you can see from the photo that the bulkhead tore out from the decelerating forces on the shoulder harness. 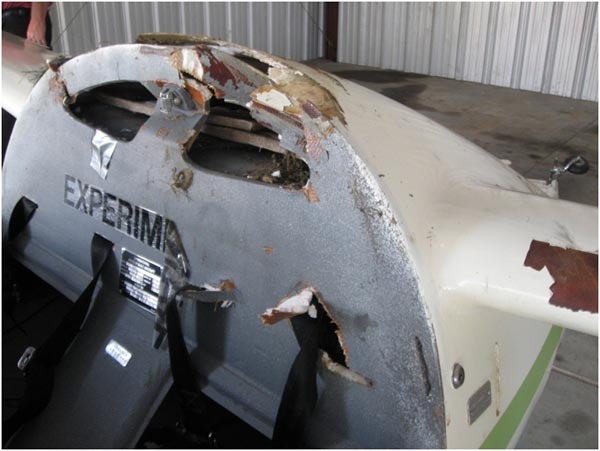 The left forward fuselage experienced severe damage, as did the turtle deck. The canopy was completely smashed. I imagine the cause of death was head injuries. 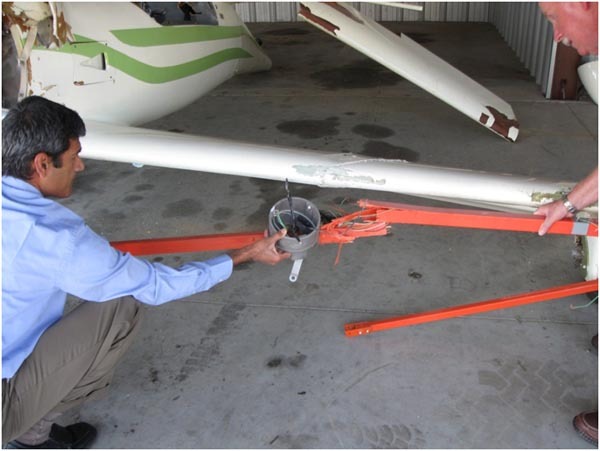 Develop a flight test plan and stick to it. 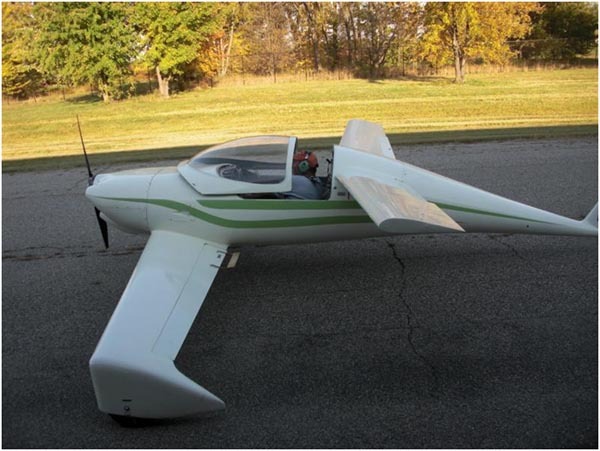 (Q-200 builder Brian Martinez did a great job of test flying and his write-ups is on the web. Do a Google search for “Q-200 Flight Test Summary Brian Martinez”, or download the document.) Not following a test plan leads to the second factor. "Get-There-Itis" - It was inconvenient to drive the extra distance to Tulip City and he wanted to get it back to his home airport ASAP. This leads to the third factor. He didn’t take the time to learn how to fly the plane at altitude; he jumped ahead to practicing spot landings. After that second flight, Jerry should have put the plane in the hangar and celebrated his success. After he had time to reflect on the flight, he should have taken it out and just learned about it. Fly it, turn it, stall it, get the feel for it, etc. Instead, he jumped right into making practice landings to prepare himself for flying into the shorter field. His throttle was positioned in a terrible location. I think we all know that flying requires fine adjustments of all our operating controls and his was poorly located to facilitate smooth operation. It appears he located the throttle in the center console for his dual-control setup out of convenience. Very unfortunately, he chose to ignore input from others and to do it his way. Perhaps if he survived a few more flights he would have realized what a hindrance a center-mount throttle was and changed it. The elevator trim was still non-functional. 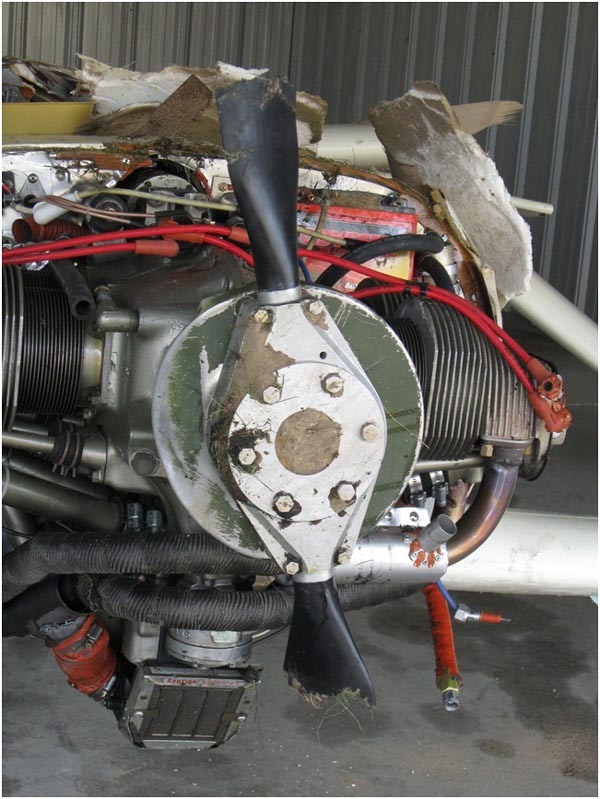 He used the Cessna trim wheel, chain and sprockets. This was a completely unneeded modification to the plans. The chain popped off on the first flight and for some reason he failed to correct it before flight. Maybe he thought his aileron reflexor would be enough. I don’t know of anyone flying without elevator trim and don’t know what it would fly like without it. So, if you add up the above factors, it all ended up with him getting behind the airplane and sinking into a 15’ high approach light while going 95 miles an hour. Again, this is my speculation, but unless there was some unknown engine malfunction, there is not much other explanation. Here, I have to say that I have been guilty of at least the first two items on the list, and maybe more. I don't intend to disparage Jerry, but to address what I believe are the causes. Pay close attention to your cockpit ergonomics. Set it up so you can operate things with a minimum amount of motion or reach. You can prioritize where things go. Generally speaking, the more often you use something the closer it should be. The less you use something, the farther it can be. I hope we can learn from this accident. Develop a flight test plan and stick to it. Please, seek out criticisms of your work and carefully consider them, free of blinders. There have been plenty of times when I headed off in a direction that maybe wasn’t the best. That’s when I need to listen to that little voice(s) of caution. Please be careful and take your time.